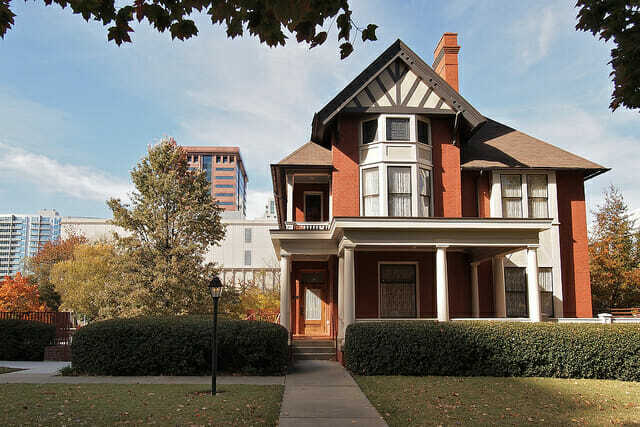 One of the most popular historic places to visit while in Atlanta is the Margaret Mitchell House, the home in which a majority of Gone With the Wind was written. The Mitchell House and Museum are located in Midtown near Peachtree Street, first built in 1899. Tudor Revival Architecture is what will be seen at this turn of the century home, a 3-story grandiose historic setting for such a grandiose historic literary feat. Inside you will find a quite ‘apt setting for learning about Mitchell’s motives for writing...and the lifestyle she lived with her husband, John Marsh, in the 1920’s.’ This gives some seriously great insight into life at that time, knowledge you can further by allowing us to book you the combo ticket with the Atlanta History Center as well (the history center includes several historic homes, exhibits, gardens, and activities spread across 33 acres). Save time to take a group tour of the home and hit the gift shop on your way out, as well as, of course, view Apartment 1 and see all the exhibits inside on this Pulitzer Prize Winning southern author!